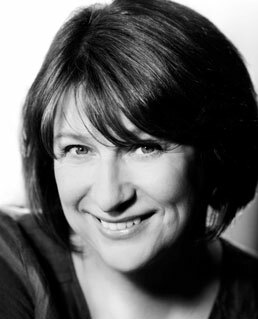 Caroline Quentin is an award-winning actress, who has performed in some of the most successful British comedies in recent years. These have included Men Behaving Badly, where Quentin played the part of Dorothy and in Jonathan Creek as the part of Maddie Magellan, starring alongside Alan Davies for three years. Quentin has also appeared in various television and radio comedy shows, such as Have I Got News For You, Dead Boss, Room 101, Mr. Bean, Whose Line Is It Anyway?, BBC Radio 4’s improvisational comedy series ‘The Masterson Inheritance’ and many more. In 2004, Quentin won the British Comedy Award for ‘Best Comedy Actress’ for her performance in ‘Von Trapped’. Quentin has recently starred in the Comedy Central series Big Bad World, where she played the part of Jan, mother of the main character Ben (Blake Harrison). Sara Shulman is the Founder and Editor of Comedy Blogedy, TEDxUCL Speaker on ‘The Power of Funny’, former Head of Comedy at UCLU Rare FM and produces the Comedy Blogedy podcast ‘Humour Me’. Sara is currently a student at the National Film & Television School and has written, produced and directed online sketches. Sara occasionally gigs on the comedy circuit. SWAG WINS ‘BEST FOREIGN SHORT’, A GLOBAL MUSIC AWARD & MORE NEWS!